In this issue, our interviewee for the American Dream profile is the financial advisor, Claudio Martins, who shares with us his personal journey to the United States. In 1980, Martins made a decision that changed his life forever: he left the city of Belo Horizonte, Brazil, and moved to New Jersey. He stayed at his cousin’s house for a month, and then, decided to move to New York City, where he would study English and work. At first, his plans were to spend a few months there and return to Brazil; however, he liked it so much that he decided to stay. “As with most immigrants, a lot of things happened in my life. I had several jobs, and it wasn’t easy at the beginning because I did not speak a word of English. Today’s technologies were not available to us; for instance, I would leave my house with a handwritten map so I would not get lost. The directions were basic, such as ‘walk two blocks and turn right, then left,’” he recalled, laughing. “Later, I returned to New York City and started to work in restaurant consulting. It was around that time that I had an opportunity to open a pastry shop at the Grand Central Market. I opened five more after that and it was a tremendous success. My partners and I worked with the best products and chefs in the Tristate. Some breads were baked in Paris at night and delivered to our shops in the morning. It was a magical period of my life. After his parents passed away, Martins decided to spend Christmas of 2011 in Brazil. He had not seen his family for a long time. Excited by the idea of returning, he left everything behind and started his life all over in his homeland. “All of sudden, I decided to leave. I am very strong-minded. When I decide something, I pursue it and do it. I planned everything while in Brazil. I sold my company shares to my partners, came back to the U.S. to pack my belongings, and in one month, I was moving back to Brazil,” he explained. Nevertheless, the enthusiasm lasted only for ten months, until he felt like a stranger in his own home. “I have been here longer than the time I lived in Brazil. It was very nice at the beginning to see my friends and family; everything was new, everything was a party. Afterwards, when life fell into a routine, I realized that there wasn’t a job opportunity there for me. I decided to return and it all happened so fast. Everything I brought to Brazil I sold, donated and came back to start again,” said Martins. “For a while, I worked in restaurant consulting, and then, I received a job proposal from a great friend to work for an insurance company, New York Life. I am a very outgoing person, I make friends with ease and I have a lot of knowledge, so it was an easy transition,” said Martins. 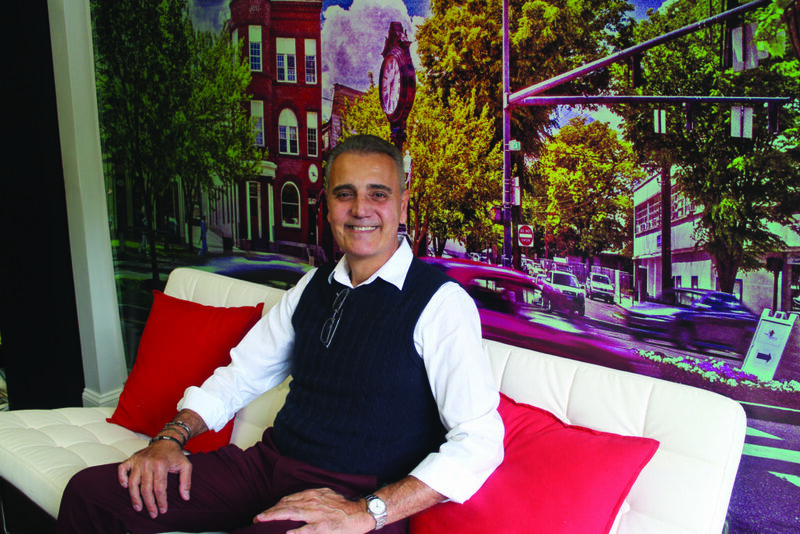 It was through his current job that he encountered Danbury and fell in love with the city. Martins’ involvement with the city is not just professional. Every Tuesday, he donates time in the afternoon to work as a translator at the Jericho Partnership clinic. On Thursdays, Martins volunteers at the AIDS Project Greater Danbury, a program that provides a full spectrum of support, educational and advocacy services to those living with HIV/AIDS. “My job is to interact with patients, find out what their needs are and what they can do to improve their quality of life,” he explained. The final message for the immigrants that like him left their homeland in pursuit of their American dream is primarily to respect and assimilate to the American culture. “Assimilation is the best way to adapt. This is a fair, decent and distinguished country. Try to make new friends, roll up your sleeves and work. Roll up your sleeves and do the best you can, and it can’t go wrong,” he advised. “I thank God every day for the opportunity to live in this country. I would do everything again. I am very happy here, and don’t want to live anywhere else. I travel a lot and return often to Brazil, but my home is here in this country,” he concluded.